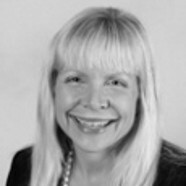 AMANDA QUIRKE HAND is a Of Counsel to the Firm and is is Board Certified by the Florida Bar in City, County, and Local Government Law. Ms. Hand focuses her practice on land use and zoning, environmental matters, eminent domain, administrative law and procedure, and other local government affairs, including all levels of appeals. Most recently, Ms. Hand was an Assistant City Attorney at the City of Miami where she served as counsel to the Planning Zoning and Appeals Board, the Historic and Environmental Preservation Board, as well as other advisory boards. She also represented the City in real property related litigation and appeals. Ms. Hand has extensive experience in private practice with local government boards and commissions, state administrative hearings and appeals, and complex commercial litigation. She has represented clients in obtaining entitlements and defending private property rights in both Miami-Dade and Palm Beach Counties, including the City of Miami Beach, City of Miami, City of Homestead, City of Coral Gables, City of Doral, the Village of Wellington, City of West Palm Beach, and other local municipalities. She has experience in all types of land development entitlements, marina and dock permitting, code enforcement proceedings, hearings before the Division of Administrative Hearings, environmental enforcement actions, sovereign submerged lands issues, eminent domain and Bert J. Harris private property rights claims, and many other local government matters. As an experienced litigator, she handles all related litigation and appeals so she is able to work with clients to a final resolution of a matter.